Good morning! 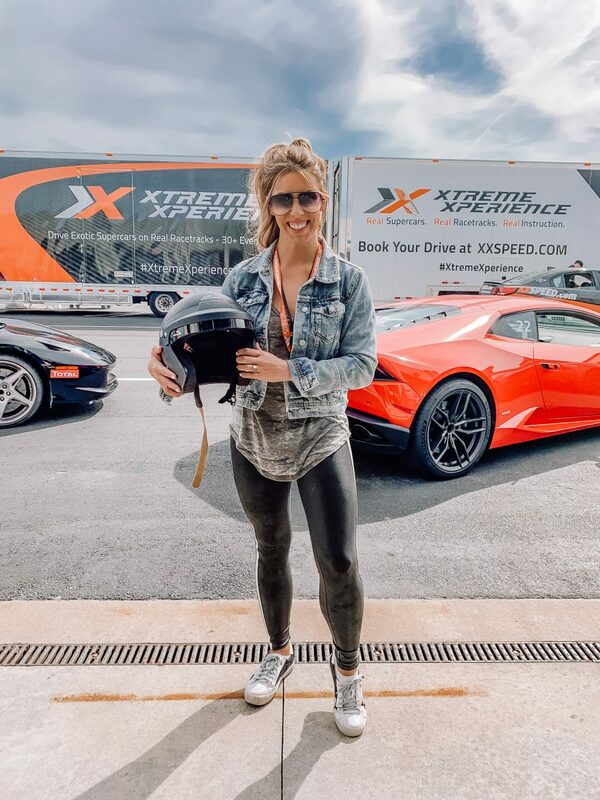 I couldn’t be more excited to tell you more about my recent ‘day date’ with Xtreme Xperience and share more behind the scene photos from our day. 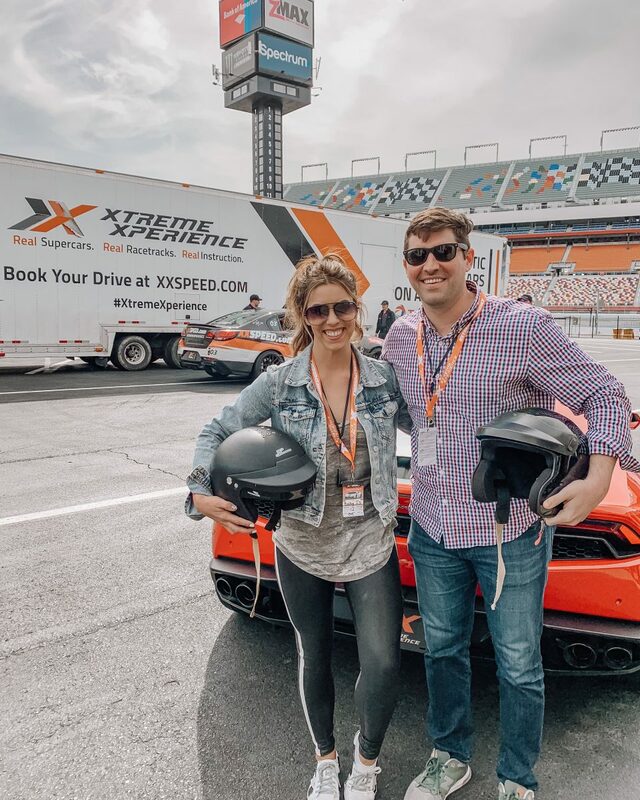 If you follow me on Instagram, you know Drew and I recently spent the day cashing in on his Valentine’s and birthday gift by driving Ferraris and Lamborghini’s around Charlotte Motor Speedway with Xtreme Xperience. Never in my wildest dreams did I ever think I’d get the opportunity to drive a supercar and ‘xperience’ a day like this and we had a BLAST. I loved that it made for a unique day that Drew and I could take part in together, and I don’t think he realized how much fun he would have. We found ourselves talking about our day the entire ride home, cracking up at our videos and arguing about who went faster. 🙂 Spoiler alert – he beat me by 2mph (insert eye roll emoji). 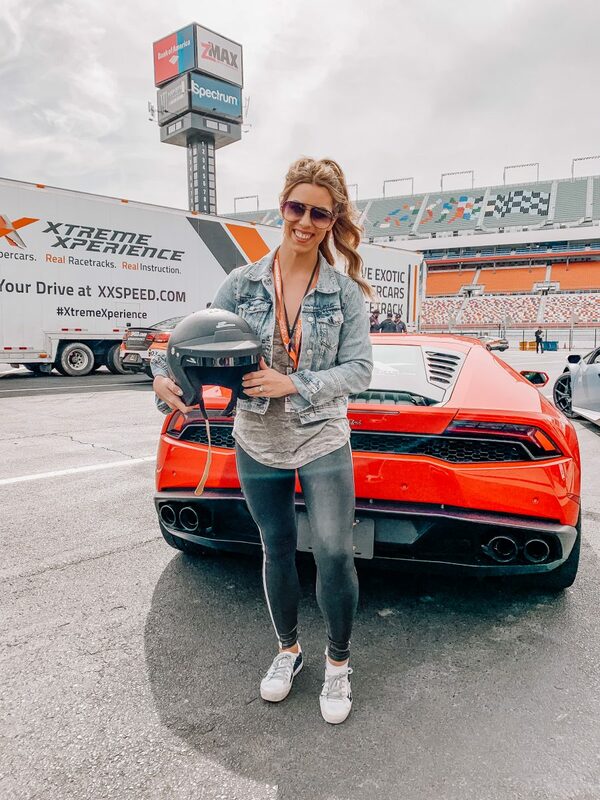 I received a ton of questions about our day, and wanted to make sure I took the time to break down all your questions for you in case you are interested in participating in your own Xtreme Xperience – it makes the best surprise gift for your boyfriend/husband/fiance! 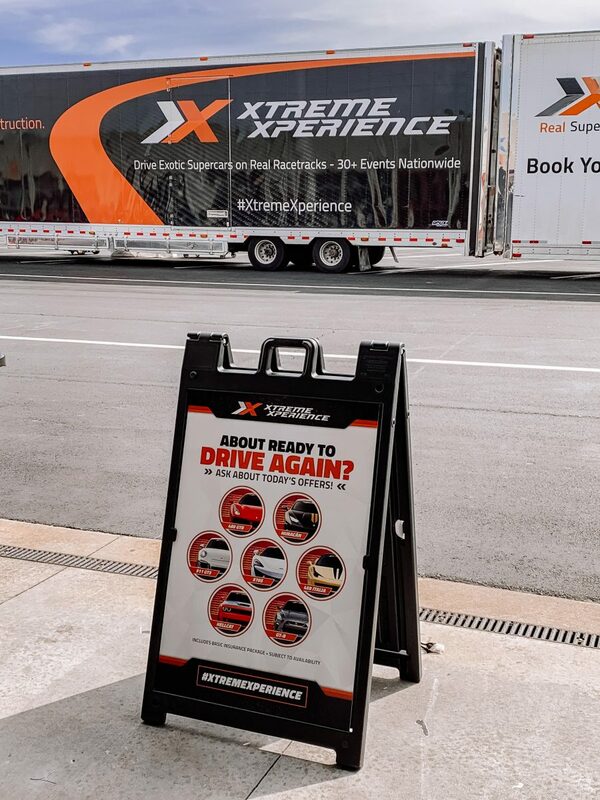 What is Xtreme Xperience? 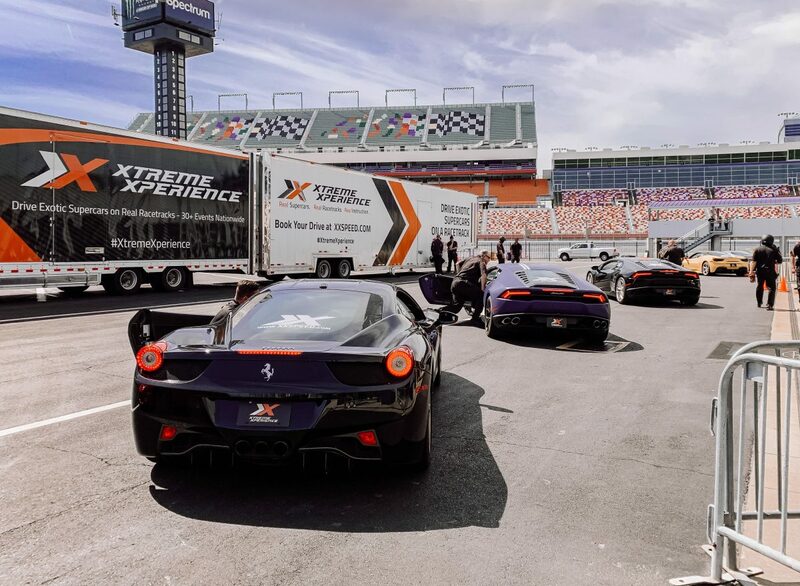 Xtreme Xperience is an event company that travels across the United States, offering people the opportunity to drive a supercar (Ferrari, Lamborghini, or other exotic car) around a race track, something they otherwise would never be able to do. They’ve been in business since 2012 and have 50+ events across the U.S.
How much is it for tickets? How do I buy them and what’s included in the ticket price? They offer a variety of ticket packages depending on your preferred price point. I love that they try to make the experience accessible for everyone. 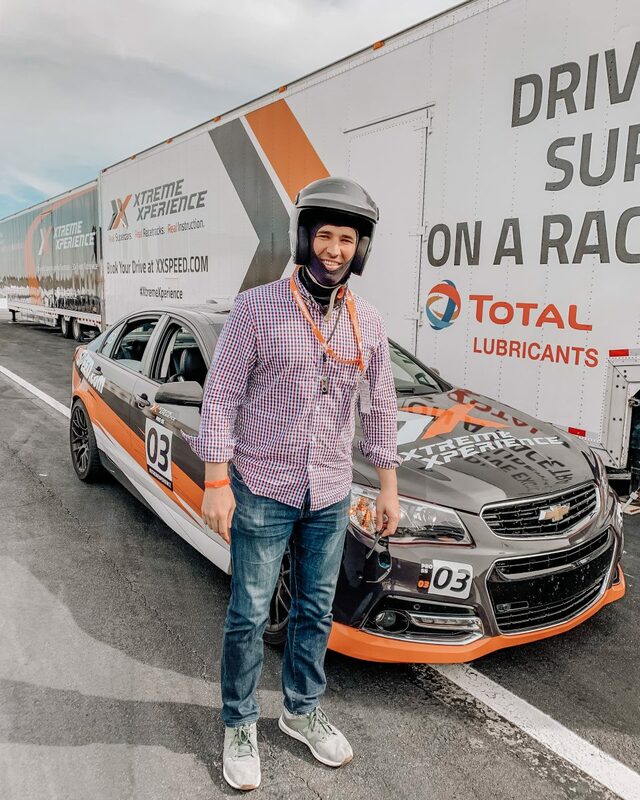 For $50, you can do a ride along with a pro driver as they drive around the track (so fun! ), and for $99 you can drive a Supercat around the race track. Other more luxury experiences including driving a Ferrari or a Lamborghini. 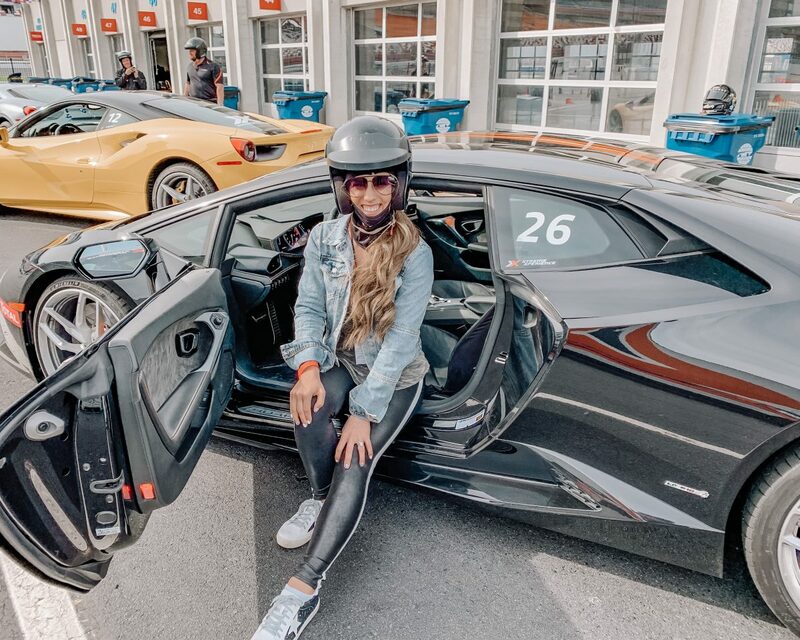 Included in a car driving package is an instructional session to learn the rules and how to drive, all safety equipment and 3 drivable laps around the race track. Do I have to know how to drive a manual/stick vehicle? Nope! and this was a good thing because neither Drew nor I knew how to do this. You simply shift the car into gear and you’re ready to go! What qualifications do I need to take part in an Xtreme Xperience? You must be 18+ years or older, have a valid driver’s license and be able to speak English since that’s the language of your instructor. What should I wear? I wore comfortable clothing and you definitely want to make sure to wear closed toed shoes. My outfit including Spanx leggings and a comfortable long sleeve t-shirt. How is it for those who get motion sickness? They do not recommend you participate in the experience if you have motion sickness, are pregnant, or have had an head/neck injury for safety purposes. I will say that Drew gets motion sickness pretty easily and the ride along made him feel a little more nauseous than the actual driving experience since he was in control of the car in the latter scenario. Where can I cash in on my Xtreme Xperience? You can purchase your tickets on the XtremeXperience.com website. They have events all across the U.S., so I recommend checking on their event page to see when the next event is scheduled near you. In addition, they have an ongoing event in New Orleans that you can participate in at anytime throughout the year. Overall, I can’t echo enough how much fun we had during our Xtreme Xperience. Thank you for having us! If you have any questions related to the day that are not covered above, please leave your questions in the comment section below. You can also e-mail me with any questions and I’ll get back to you as soon as I can! Xoxo. 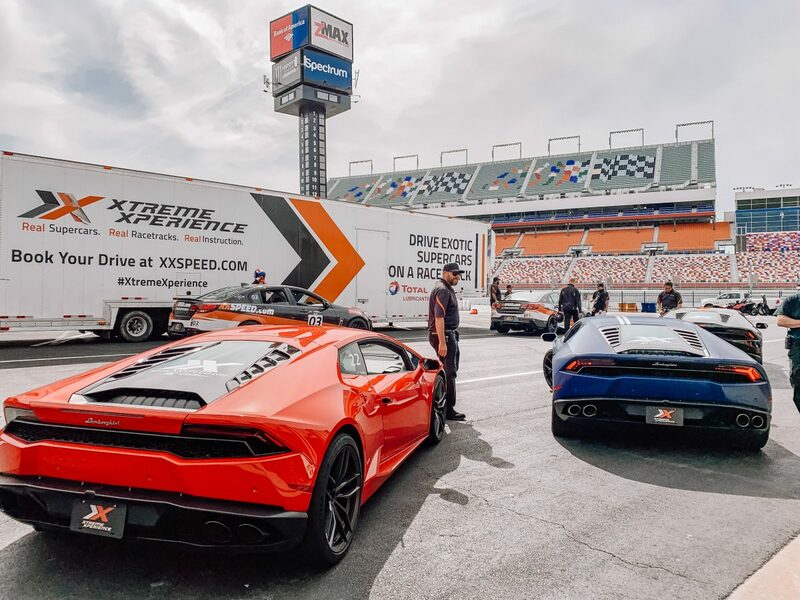 Thank you to Xtreme Xperience for sponsoring this blog post. As always, all opinions are my own. Thank YOU for supporting the brands that make this blog possible.